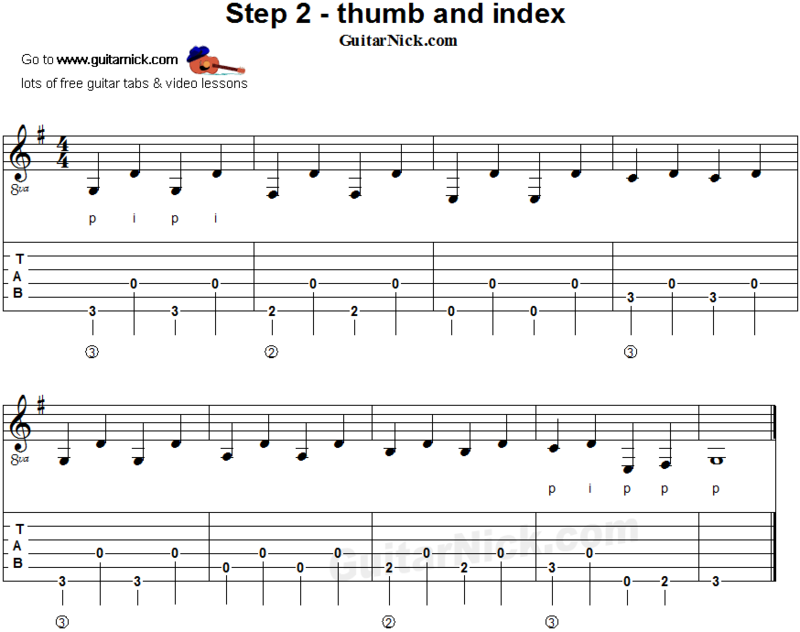 In the step 2 you have to use your thumb (p) and index (i) alternating between them. The index always plays the fourth string open, while the thumb plays the same notes of the step 1. Attention: once you press a fret does not immediately raise your finger but keep it pressed until you need to change fret.